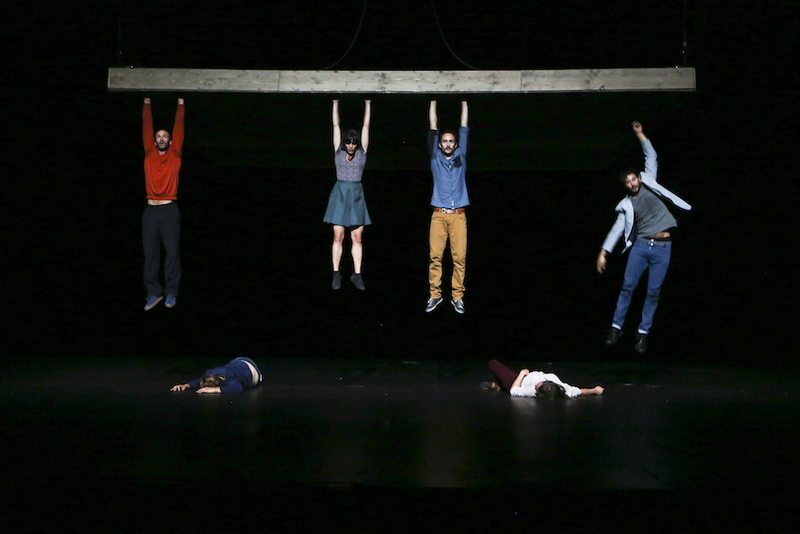 Yoann Bourgeois is like a giant puppeteer full of humour, operating the strings of an enormous platform, a flying carpet or infernal carousel, which pushes the bodies to the verge of falling. Who manipulates whom? It's impossible not to fall for its charm! Concept, direction and scenography: Yoann Bourgeois Assisted by: Marie Fonte Performers: Mathieu Bleton, Julien Cramillet, Marie Fonte, Dimitri Jourde, Elise Legros, Vania Vaneau Lights: Adèle Grépinet Sound: Antoine Garry Costumes: Ginette Set construction: Nicolas Picot, Pierre Robelin, Cénic Constructions Technical manager: David Hanse Head of stage: Alexis Rostain Head of lighting: Magali Larché Head of sound: Benoît Marchand Photography: Géraldine Aresteanu Executive producer: CCN2 - Centre Chorégraphique National de Grenoble - Direction Yoann Bourgeois and Rachid Ouramdane Co-productions: Cie Yoann Bourgeois, MC2: Grenoble, Biennale de la danse de Lyon, Théâtre de la Ville, Paris, Maison de la Culture de Bourges, L’hippodrome, Scène Nationale de Douai, Le Manège de Reims, Scène Nationale, Le Parvis, Scène Nationale de Tarbes Pyrénées, Théâtre du Vellein, La brèche, Pôle national des arts du cirque de Basse-Normandie / Cherbourg-Octeville, Théâtre National de Bretagne-Rennes Artistic residency: MC2: Grenoble, La Brèche - Pôle national des arts du cirque de Basse-Normandie/Cherbourg-Octeville Construction management: Ateliers de la Maison de la Culture de Bourges, Cenic Constructions, C3 Sud Est. Supports: ADAMI, SPEDIDAM, PETZL Support for the creation: DGCA. Yoann Bourgeois is supported by Fondation BNP Paribas for the development of his projects and he is in territorial residence at Capi-Théâtre du Vellein. The CCN2 is supported by Drac Auvergne - Rhône-Alpes/Ministère de la Culture et de la Communication, Ville de Grenoble, Département de l’Isère, Région Auvergne-Rhône-Alpes and is supported by Institut français Co-presentation: Teatro Municipal do Porto - Rivoli. Campo Alegre and São Luiz Teatro Municipal Technique: New circus Language: Without words For audiences over: +8 Running time: 65 min. 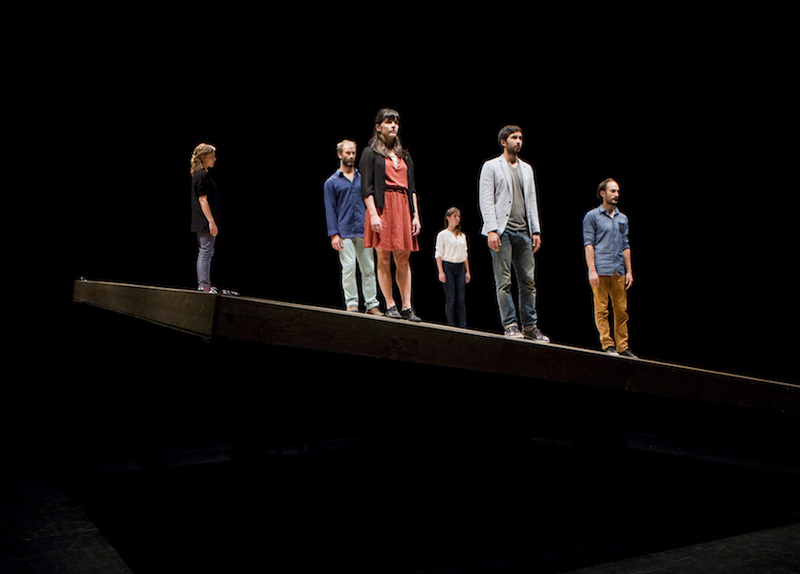 Six artists challenge the laws of gravity, attempting to keep their balance on an imposing suspended platform that tilts, spins, swings, and lifts. They have no control over what happens. The only way of countering it is through agility. In the face of such instability, bodies rise, climb, hang, and fall, together and separately, in a perilous dance for survival. 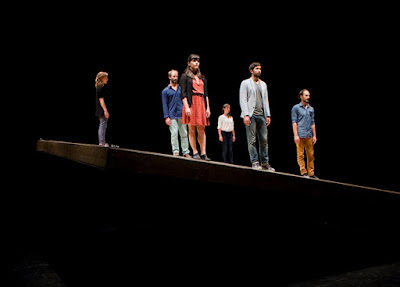 Yoann Bourgeois is like a giant puppeteer full of humour, operating the strings of an enormous platform, a flying carpet or infernal carousel, which pushes the bodies to the verge of falling. 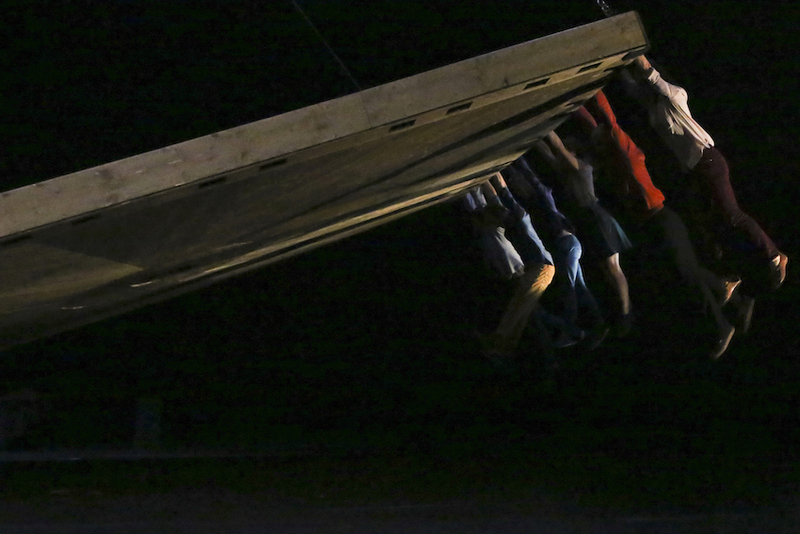 A French artist equally dedicated to the circus arts and contemporary dance, Yoann Bourgeois has long been fascinated by ideas of weightlessness and the physics of suspension. For this ingenious show, he challenges performers from both disciplines to meet the physical demands of his intriguing staging, each scenario choreographed to rousing tracks from opera aria, Casta Diva, to Frank Sinatra’s My Way. Who manipulates whom? This singular and impulsive machine or the bodies that try to keep their balance? Yoann Bourgeois devised this floating platform, which swirls and flies in the air, manipulated in the air, manipulated like a string puppet. 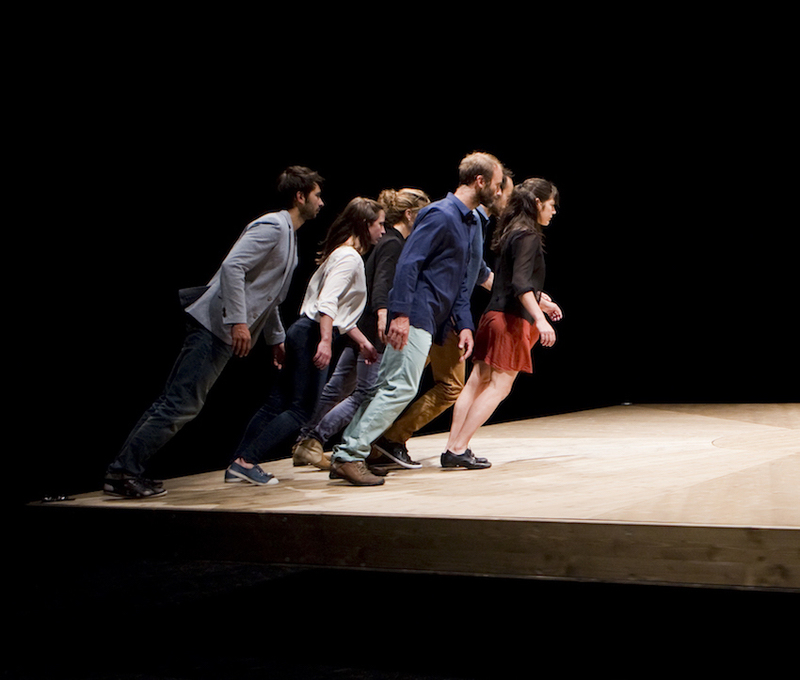 "Yoann Bourgeois creates performances that are exquisite, with an intense poetry, and impossible to forget." "An exhilarating piece of theatre. Watching it is often an intensely physical experience. Your heart would leap into your mouth were your stomach not already there. The timing is impeccable, the sense of risk real (...). For all its physical daring, there’s delicacy and beauty here too, the breath-stealing sequences interspersed with gentler moments. Bourgeois has created a kind of body poem. All in all it’s quite an experience, tender and terrifying in equal measure, exquisitely dizzying." "A wild ride of spins and swings. This circus/dance piece takes place on a large square platform (...), resulting in a show that's part adventure playground, part abstract study in group behaviour and part disaster movie". "A poetic creation... it's impossible not to fall for its charm." Acrobat, actor, juggler, and dancer, Yoann Bourgeois was born in Grenoble and grew up in the small village of Jura. He graduated from the Centre National des Arts du Cirque de Châlons-en-Champagne and at the Centre National de Danse Contemporaine in Angers. For four years he was a performer with Maguy Marin’s company. At the age of 28 he returned to Grenoble to found Compagnie Yoann Bourgeois in 2010. 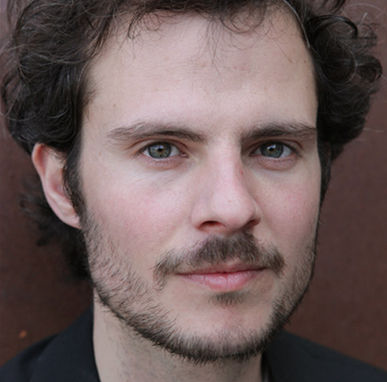 His first piece, Cavale, was a duet on a trampoline with Mathurin Bolze. 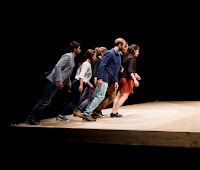 In 2013 he created Celui qui Tombe for the Lyon Dance Biennale. Since January 2016, he has co-directed the CCN2 - Centre Chorégraphique National de Grenoble, with Rachid Ouramdane. The numerous projects of Yoann Bourgeois express in various ways the endless desire to embrace and experience life in its many angles... His life is dedicated to the Performative Arts.